Successfully Added Personal GPS + LBS Real Time Tracker - Geo Fence, SOS Button, Voice Monitoring, Android and iOS Apps to your Shopping Cart. Keep your loved ones safe with the personal kids GPS and LBS real time tracker. Thanks to the GPS and LBS positioning, you will know exactly where your children are at all times. The GPS tracker can also be helpful to elderly and ill relatives, as it lets them easily ask for assistance. Keep track of what your children are up to at all times with this personal GPS and LBS tracker. The mini gadget will let you know your kids’ exact location throughout the day, communicate with them and get notified when they wander off limits. The HPS + LBS tracker comes with a nice feature called Geo Fence, that allows you set a digital fence around your child. Should they cross the set border - you will get instantly notified. It’s an efficient way to make sure your children don’t visit dangerous neighborhoods or go into areas you’d prefer them to stay away from. The tracker comes with two-way communication – and you will be able to get in touch with the one wearing it at all times. You can also stay updated via voice monitoring. The tracker comes with apps for both Android and iOS and can also be used to monitor the elderly or ill persons, making sure that their needs are met efficiently. 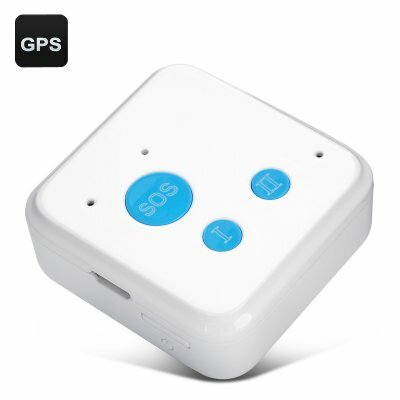 The Kids Personal GPS + LBS Real Time Tracker comes with a 12 months warranty, brought to you by the leader in electronic devices as well as wholesale GPS trackers..